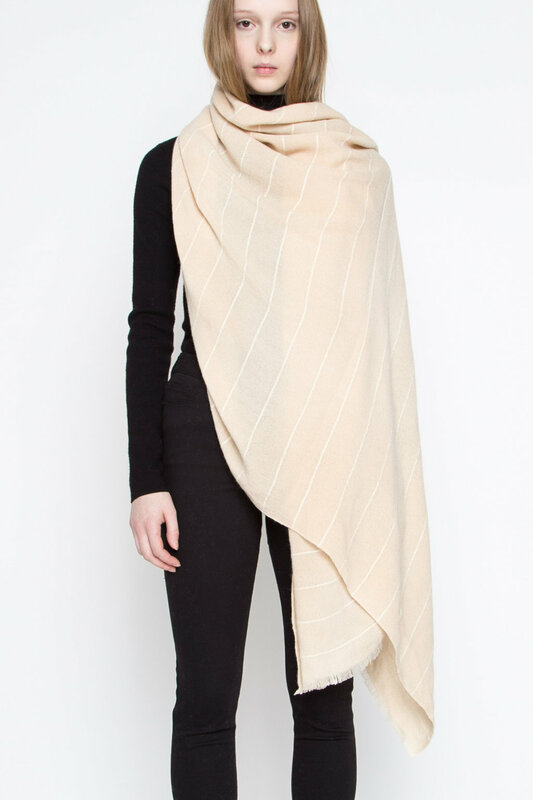 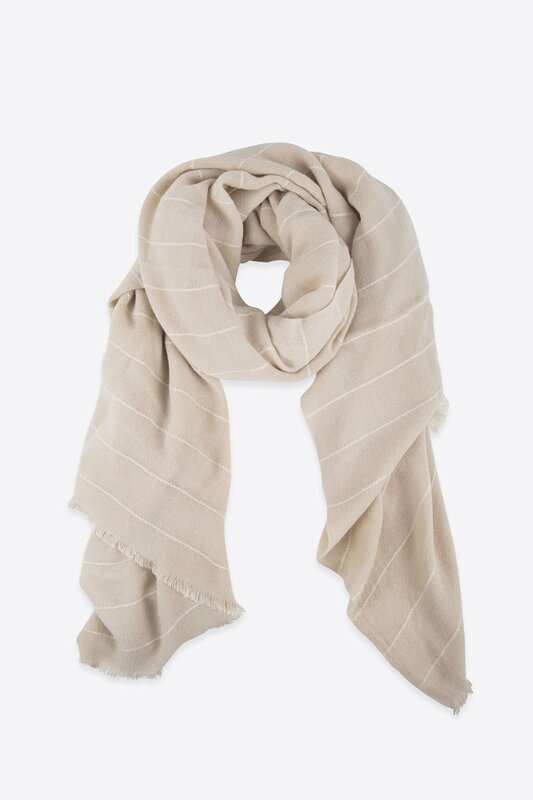 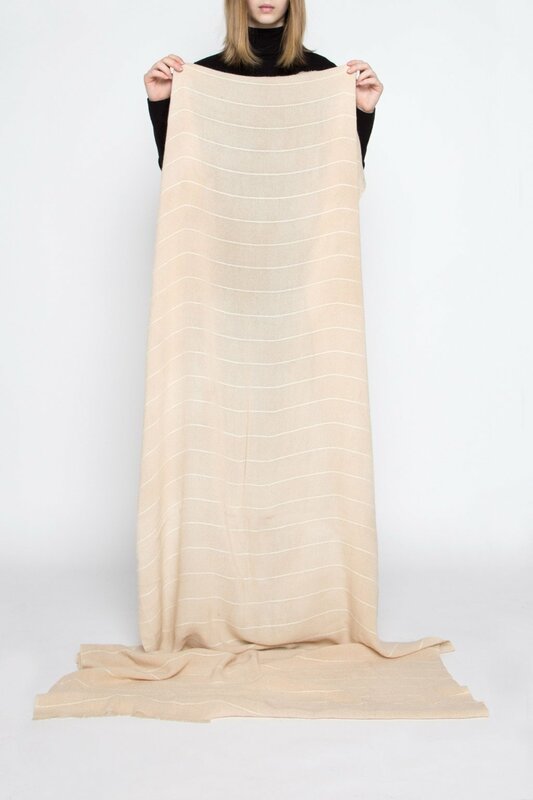 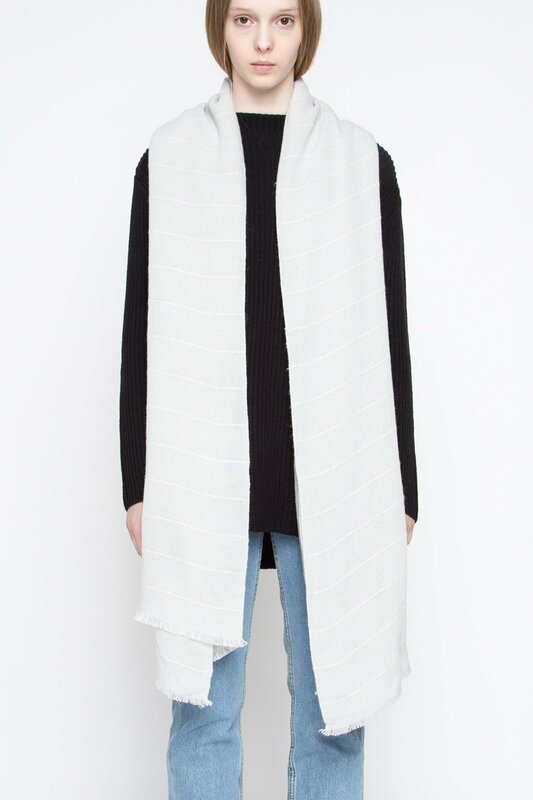 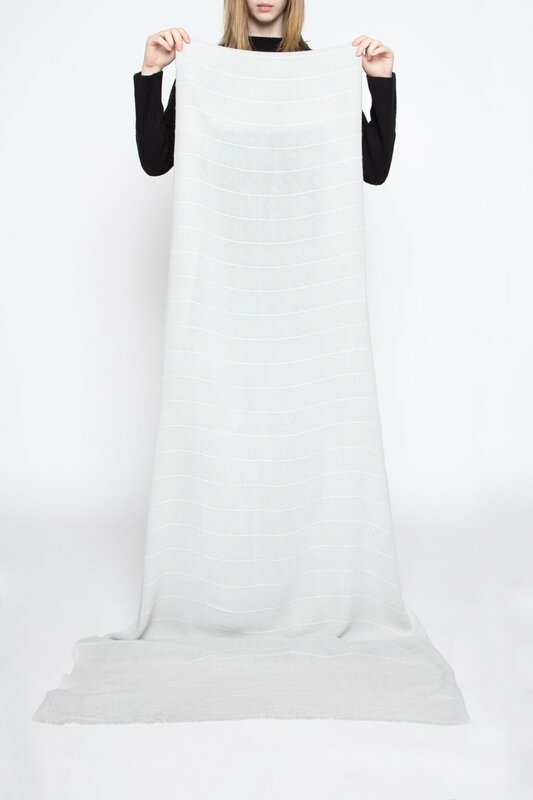 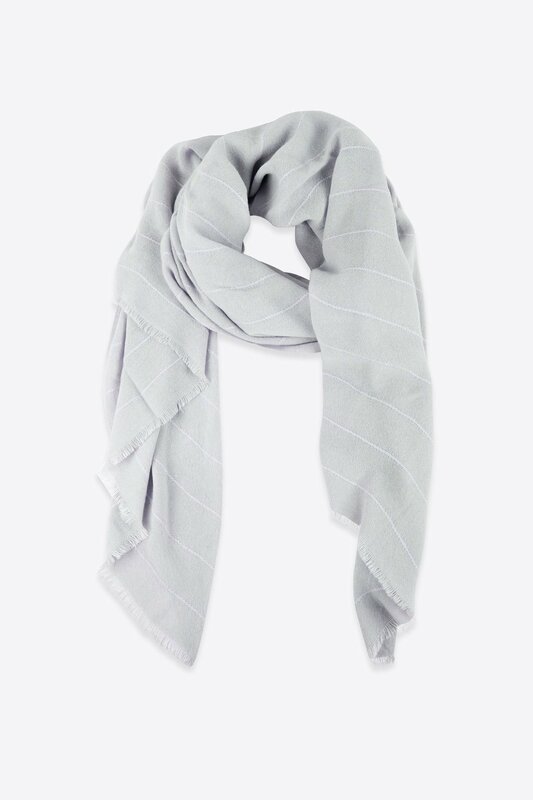 Minimal in design, this lightweight scarf features a stitched stripe pattern throughout. 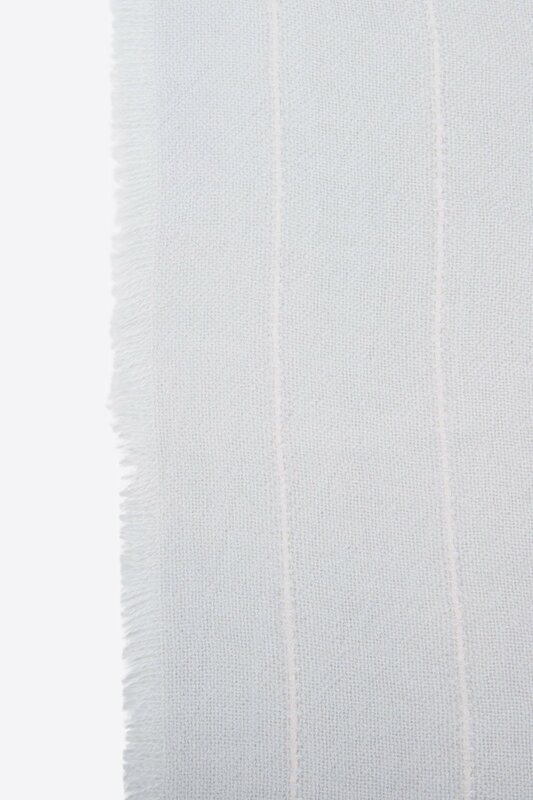 Composed of a soft fabric with a frayed edge, layer this piece over a casual outfit. 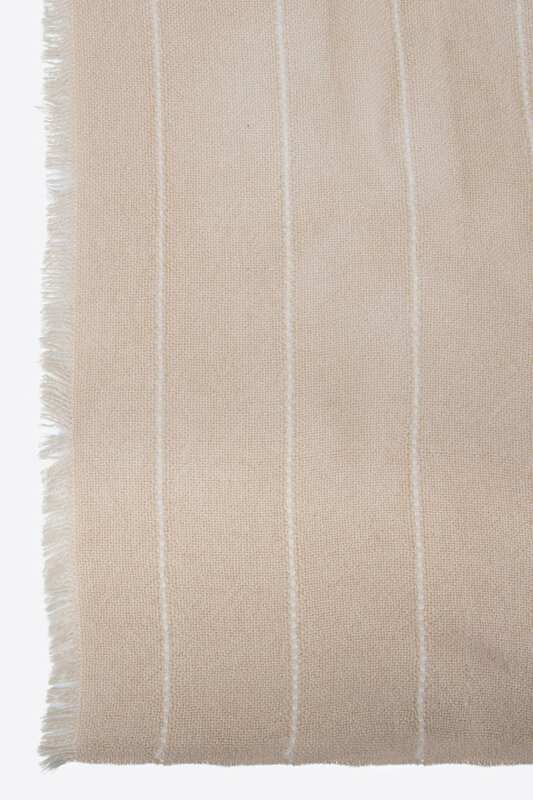 Care Instructions: Hand wash cold, do not bleach, line dry, do not iron.